It is designed to be used with a crane or a telehandler. Pin behind the heel design allows you to dump safely. 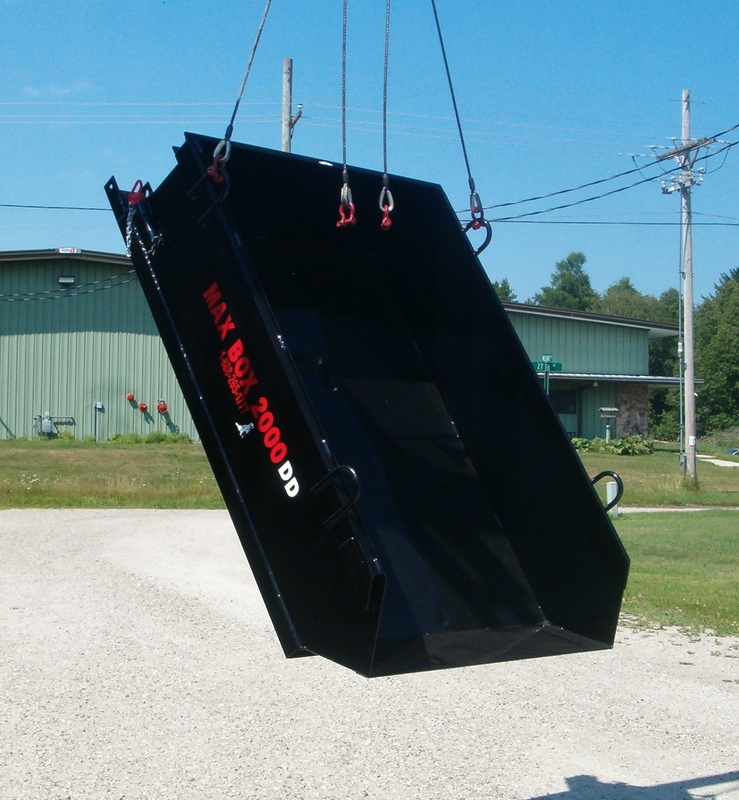 The Max Box 2000 DD (Double Dumper) is a manual dump box / Skip Pan used to lift, sand, gravel, dirt, roof debris or any other job site materials. Rated load capacity 2,000 lbs. Dimensions: 50” x 73” x 23” high (outside). 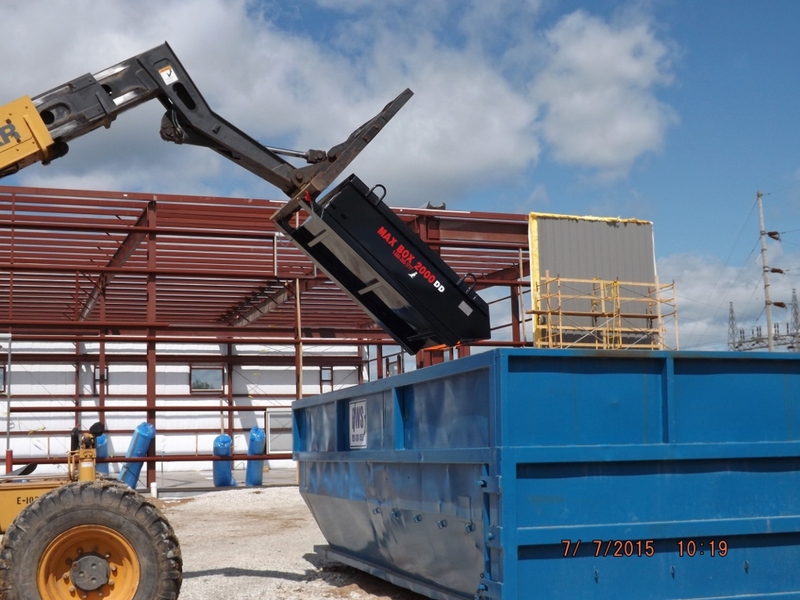 The Max Box 2000 DD (Double Dumper) is load tested, certified and tagged. Empty weight of 430 lbs.